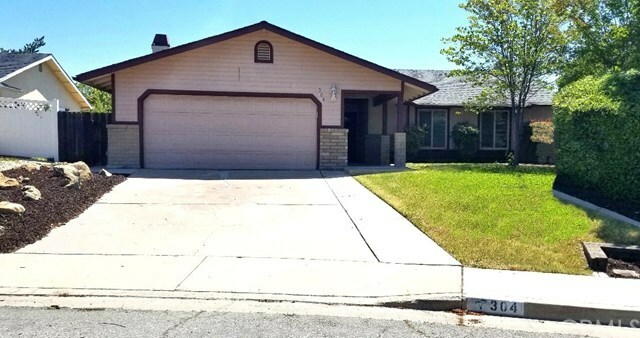 Pride of Ownership shows throughout this turn key 3 bedroom, 2 bath home with curb appeal. The tiled entryway welcomes you into the open floor plan with a spacious living room and dining area. Freshly painted recently. Enjoy the custom tile floors that flow throughout the home. The upgraded kitchen with lots of cabinets opens up to the cozy family room with a brick wood burning fireplace. Very generous master suite with walk-in closet. Enjoy summer days entertaining or having family BBQâs in the large covered patio area and deck and a rear yard big enough for a pool. Directions: Niblick Rd. east turn left on Appaloosa, right on Clydesdale Circle.